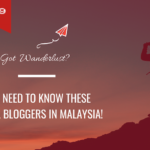 As locals (or non-locals) in Kuala Lumpur, the bustling heartbeat of Malaysia, most of us have done our Google searches when approaching long weekends or holiday seasons: “What are the best things to do in KL?” Type, hit enter, give it a sec’… Surely, there’s no end to wondrous sights and exciting activities to be discovered! Okay, so reality bites: Most searches rendered highly commercialised or sponsored activities, e.g., shopping in KLCC, bar hopping in Bukit Bintang, admiring the city views from the famous Twin Towers, etc. Sure, these activities are sufficiently reviewed and raved about online, but we wanted to go back to our ground roots and dissect the heart of multi-cultural, colourful, gritty KL. We wanted to do, well, something different! Catching up with friends over drinks is common enough, but imagine sipping a martini while enjoying the sunset on a helicopter pad – now that’s something new! The Heli Lounge Bar takes this basic concept and turned the 34th floor – that’s the roof – into a bar where their Lychee Martinis reign supreme. Don’t worry if Lychee Martinis are not your thing because there are a wide variety of alcoholic and non-alcoholic beverages on the menu! As any true Malaysian would testify, we live to eat. 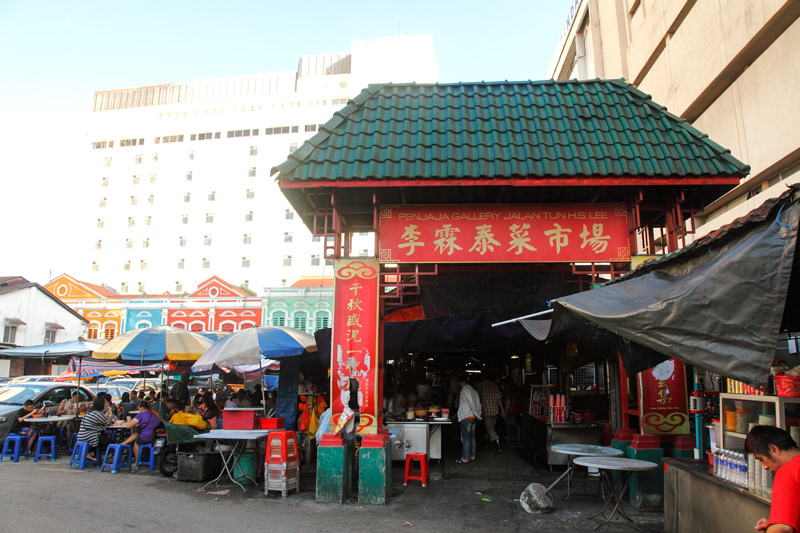 And Precious Old China in Pasar Seni (also known as Central Market) is known for their good old-fashioned Nyonya food. For those who are not familiar with Nyonya food, it’s a unique Malaysian culinary style that results from a combination of Chinese and Malay influences. 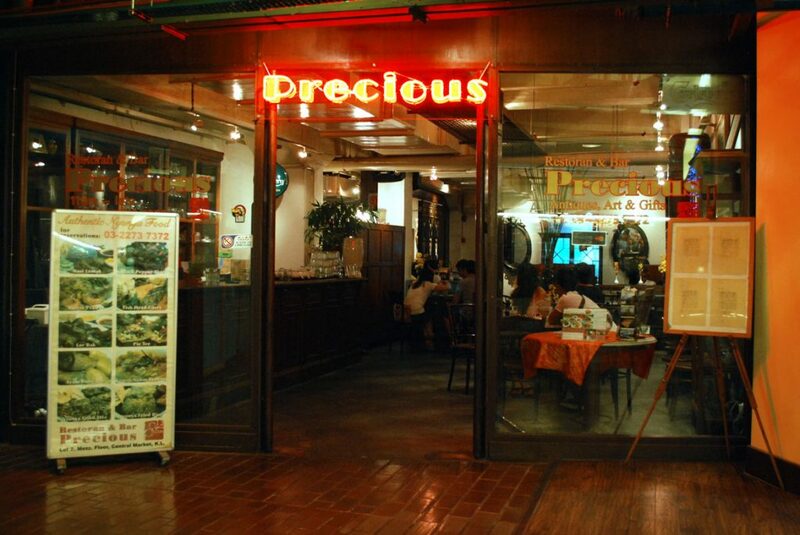 As you step into the restaurant, you’ll notice that the interior of Precious Old China lives up to its name: there are three sections for dining, all furnished with genuine antiques. You’ll find that the food itself is one of the most authentic, if not the most, in KL – many have claimed it stays true to the original recipes and traditional methods used! Petaling Street has come a long way from being a dodgy area of ye olde days. Sure, the area is still dodgy, but now there are plenty of hipster cafes to be found as well; the most popular one being Merchant Lane. 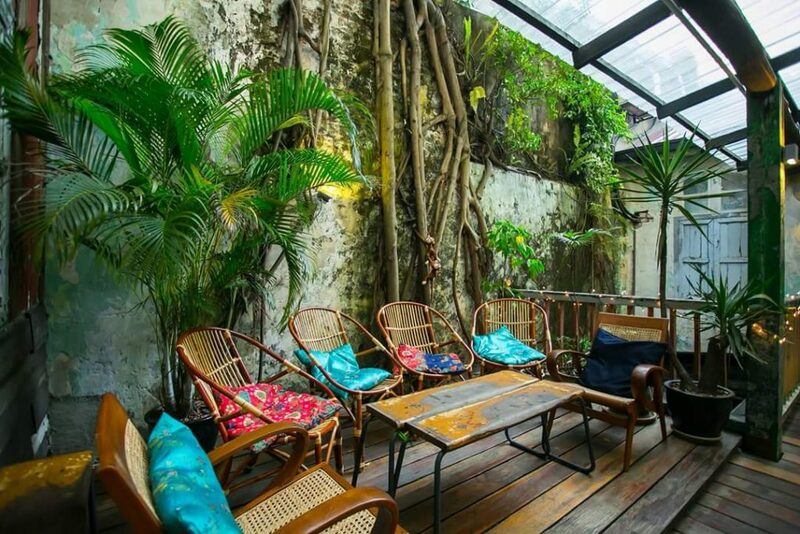 The café used to be a Petaling Street brothel before it was given new life. Expect comfort food prepared in an East-meets-West style, such as ‘Italian Chow Mein’ – spaghetti aglio olio with chilli flakes – and ‘The Mistress’ – fried chicken burger with waffle-cut fries – yums! If café fare is not your thing, head to Penaja Gallery Jalan Tun HS Lee, also known as Madras Lane Hawker Centre. Described as an Asian food lovers’ paradise on TripAdvisor, many love to come here for the curry laksa and yong tau fu, but really, you can find almost every local dish here like chee cheong fun, pork noodle soup, cincau, cendol, wan tan mee and chicken char siu rice! However, finding this food alley can be difficult – at Petaling Street, head to the middle of the road towards a building called ‘Bangunan Pak Peng’, then go past the shops inside the building. You’ll find yourself exiting to Madras Lane. 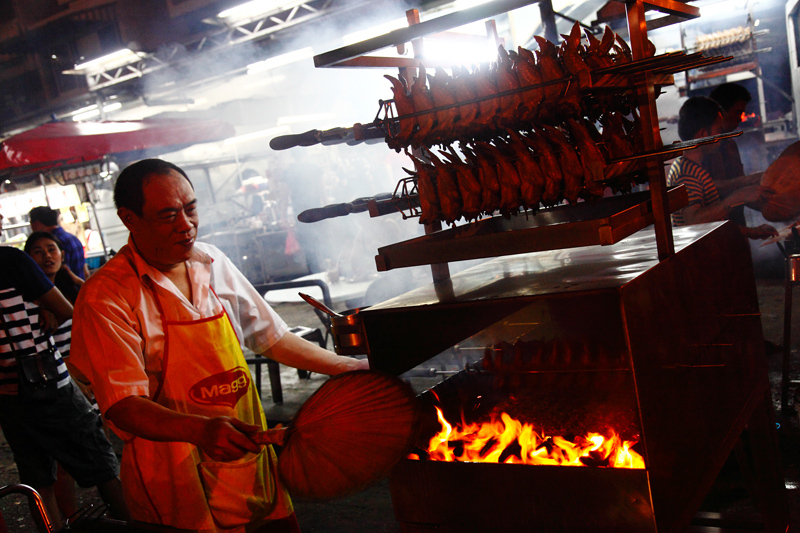 Not far from Petaling Street is Jalan Alor, which provides an alternative for street eats. However, what you should NOT miss are the famous BBQ chicken wings at Wong Ah Wah. Do come before 6.30pm in order to secure seats easily, as there tends to be a huge crowd come dinnertime. There’s a minimum order of two chicken wings per person, but considering their size and deliciousness, you’ll definitely want more than two for yourself! Better still, the restaurant also sells other Chinese-style dishes that are equally popular, such as Kam Heong La La (clams) and Salted Egg Squids. 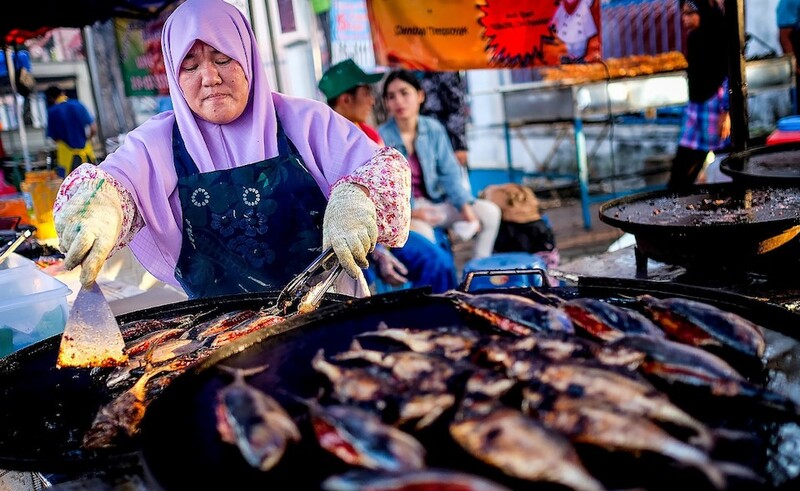 Street Feeders of KL allows you to see more than the highlights of Kuala Lumpur; travelers actually get to roll up their sleeves, meet the locals, and work together towards community betterment by offering homeless friends food and conversations. The movement takes place every alternate Wednesdays from 9pm. Everyone is welcomed to be involved, just be at Central Market wearing a white shirt and join the rest of the heroes. 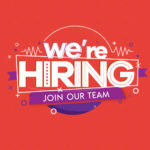 As the saying goes “Nothing is stronger than the heart of a volunteer”. This experience would serve as a realization that you’ve gained so much more than an ordinary traveler would have. 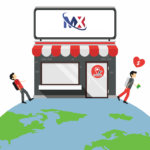 More information can be found on their facebook page Street Feeders of Kuala Lumpur. 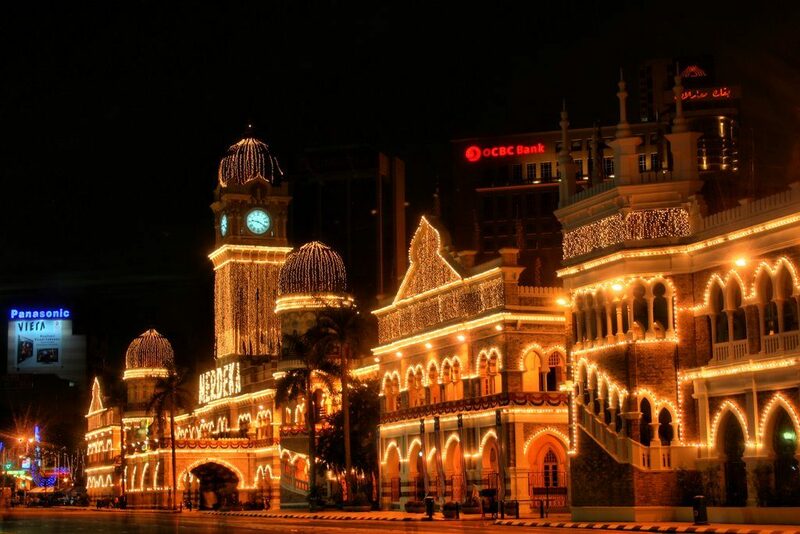 You may know this as the main venue for the annual Merdeka Parade (National Day Parade), but did you know that you could enjoy street performances illuminated by stunning lights here at nights on most days? 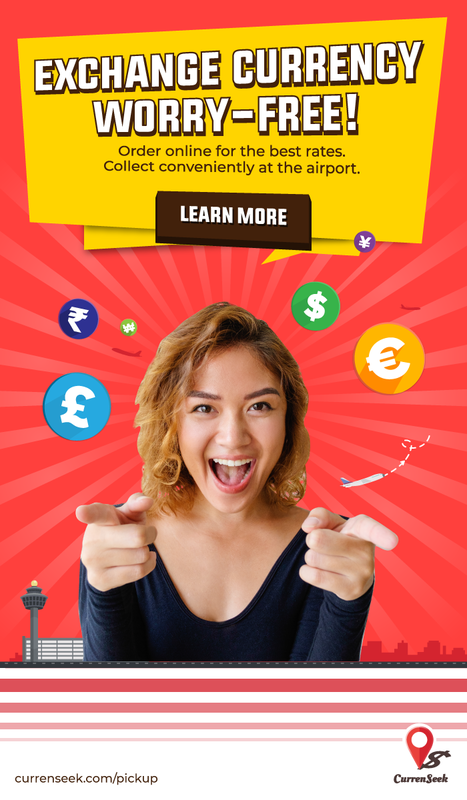 Plus, you’ll get to see impressive views of Bangunan Sultan Abdul Samad and Menara Kuala Lumpur (KL Tower) lit up nearby! Want something different from the usual art galleries? 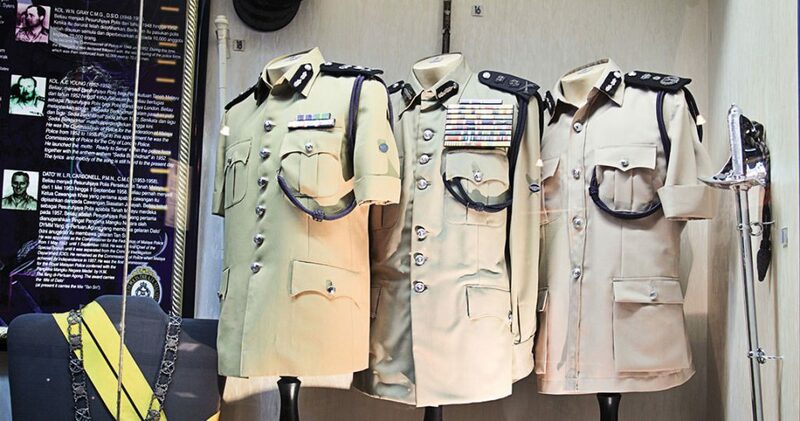 The Royal Malaysian Police Museum will not disappoint. Not only are there a fascinating collection of artefacts and exhibits detailing the role and history of the RMP from its inception up to the present day, there is also an outdoor armoury exhibit! Plus, the museum is located near Perdana Botanical Gardens, Kuala Lumpur Bird Park, and the National Planetarium, so you can make a day out of it! 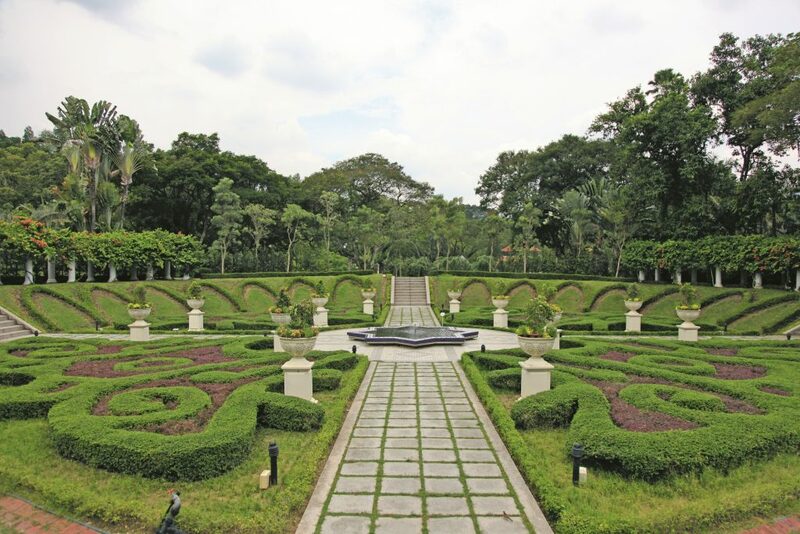 Formerly known as Taman Tasik Perdana or Lake Gardens, these gardens are designed to provide visitors with the feeling of being in a tropical rainforest, despite being in the middle of a bustling metropolis – an oasis in the city if you will. Few things are more romantic than a leisurely stroll around the park among various beautiful tropical plants, topped off by a view of the sun as it sets. If you’re an art lover, you’ll want to check out this new visual arts hub pioneered by OUR ArtProjects early this year. The local arts consultancy launched their own gallery in The Zhongshan Building, which is a row of restored c.1950s interconnected shophouses that once housed the Selangor Zhongshan Association, among other merchants. These merchants include Malaysia Design Archive, The Ricecooker Archives, Tandang Records, Bogus Merchandise, Artist Studio, and Reading Library by Amateur Collective – collectively transforming the place into a lively arts scene that you won’t want to miss. 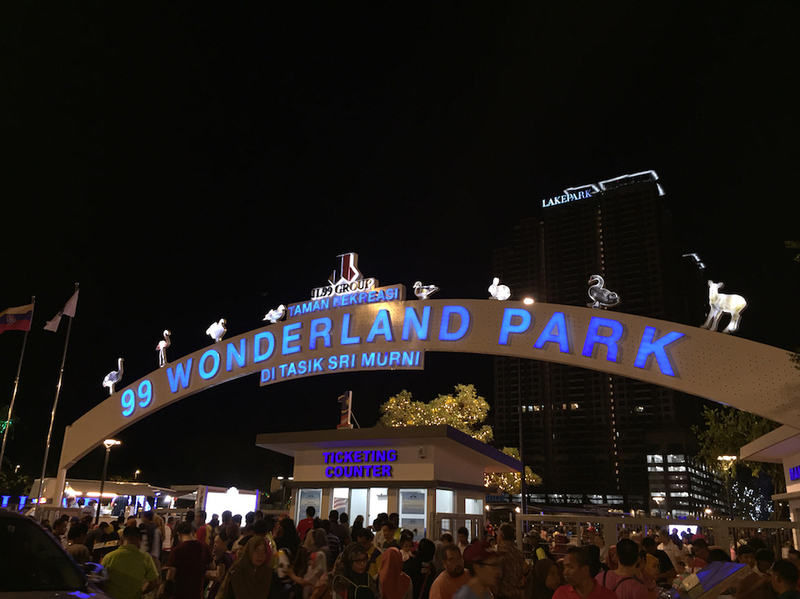 Transformed and rejuvenated from a disused lake into an 18-million-Ringgit worth recreational park, 99 Wonderland Park recently opened to the public in 16 March. The recreational park features a wide range of attractions spanning the 99 Jetty, 99 Cruise, 12 Zodiac Walkway, Deer Yard, LED Lights, and rare animals and birds that you can interact with while you take a leisurely stroll along the beautifully landscaped park. 12) WATCH THE RIVER OF LIFE COME ALIVE BY NIGHT! Just a stone’s throw away from Pasar Seni and Petaling Street, and just outside Masjed Jamek LRT Station lies the River of Life in the heart of KL. At night, the fountains light up and dance in sync to lively music beats, while a man-made mist floats over the water, creating a soothing magical sight after a hot day of sightseeing around town! Lovely fish ponds and Islamic gardens complement the natural splendour of the regenerated beautifully-lit River Of Life. The beautification project consumed years of hard work, and it’s a sight to behold now that you mustn’t miss! 13) WATCH THE RIVER OF LIFE COME ALIVE BY NIGHT! Food truck lovers, take note! 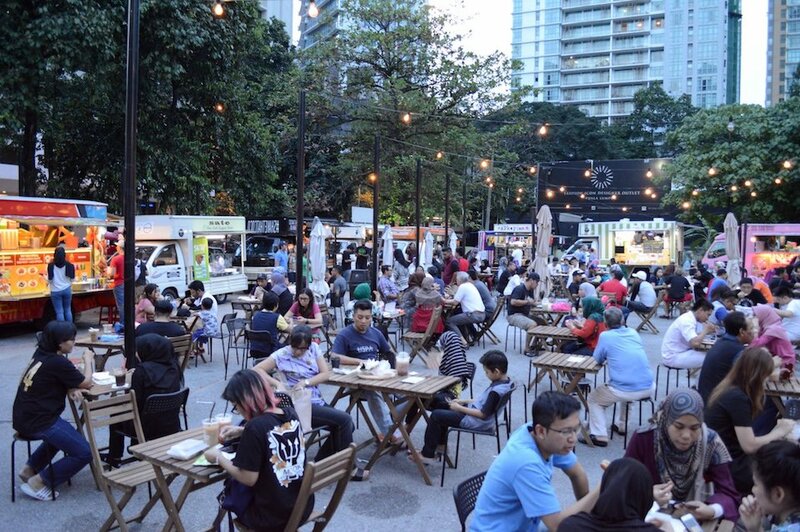 Tapak features a wide variety of food truck offerings spanning Western, Mexican, Mediterranean and Asian dishes. From churros and pizza, to steak and seafood, you’ll be spoilt for choice. 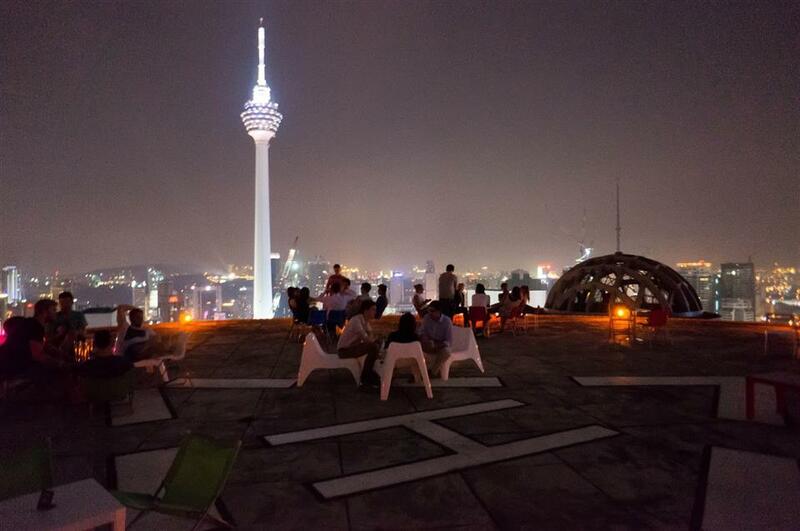 Tapak is located beside Corus Hotel near the Twin Towers in KL, opens in the evening and closes by 1am. Prices are incredibly reasonable too, starting from RM5 to RM20. If you wish to explore something truly local in the oldest Malay village in KL city centre, Kampung Baru Night Market must be on your activity list! The night market is a popular shopping venue for traditional Malay apparel, such as sarong, baju kurung and songkok, as well as jewellery and handicrafts. You’ll also find books, household goods, and delicious Malay specialties, including rojak, grilled fish, satay, nasi lemak, nasi campur and colourful kuih, at attractive prices! Kampung Baru Night Market also presents plenty of opportunities for sightseeing with its traditional Malay timber homes, coconut and banana trees—juxtaposed against the modern contrasting backdrop of KL’s concrete skyscrapers. The first and only Dinner In The Sky experience to be found anywhere in South East Asia, this novel experience was promptly sold out everytime available seatings were announced! Starting from RM399 upwards for a 3 course meal with Starter, Main Course and Dessert, participants are hung and suspended 40 or so metres mid-air above the ground, while getting to feast on good food and expansive all-round KL city views. Granted, it’s a bit expensive for a 3-course meal but the once-in-a-lifetime aerial dinner experience is worth a try! 16) GO ON A JUNGLE WALK IN KL CITY! 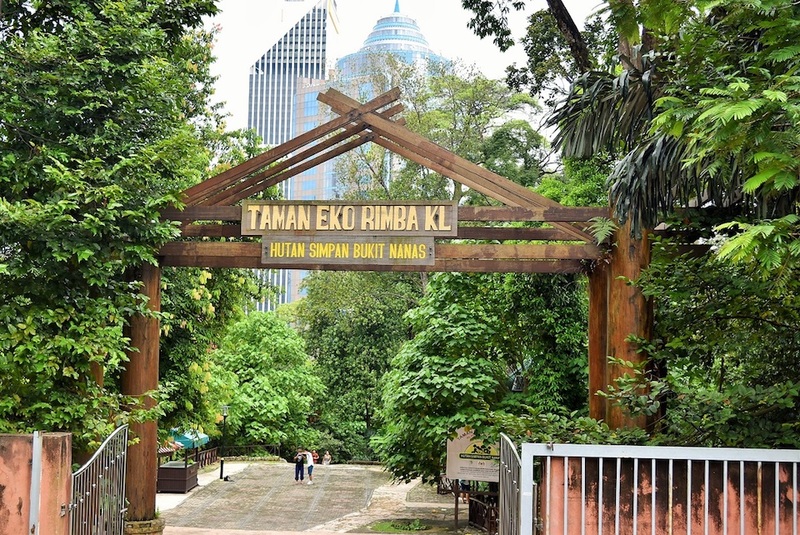 Nature lovers, did you know there’s a rainforest right in the heart of KL city? You don’t have to travel all the way to the heartlands for one! Okay, so it’s not a fully fledged rainforest but it’s a good basic introduction to rainforest flora if you want one. Go for an easy walk along the trails with your family and friends, and explore the canopy walks. Entrance is free of charge!